ABBEY were appointed as Project Managers to determine and undertake remedial works to repair and re-build a terrace of shops damaged by fire in 2014. Access to the site was extremely difficult, with a primary school being attached to the building at one side, a nursery school forming part of the buildings which had to remain operational, and the two main elevations of the building facing onto a major trunk road and an access road with parking restrictions, and the area behind the buildings being a public house demolition site with contractors already working on the site. The works were funded by the Client’s insurers, and ABBEY, working in conjunction with the Insurer’s Loss Adjusters and the Client, worked tirelessly to ensure that the building structure was retained and reinstated within the Conservation Area guidelines. The works involved the complete strip out of the building structure with the fabric of the building being restrained by the installation of structural scaffold systems to each elevation. Access agreements were reached with the adjacent owners of the demolition site to provide the contractors with access to the works and space for the storage of plant, equipment and materials. Internally, a new suspended timber floor was constructed which was designed to remove the internal steps that previously existed but interrupted the accessibility of the building. 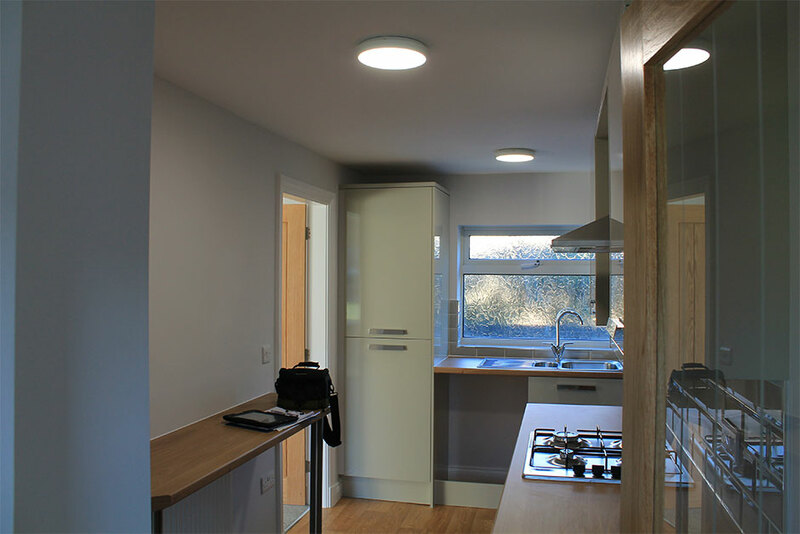 New mechanical and electrical installations were designed and installed to modern standards. Existing structural defects, identified at initial survey stage, were successfully diagnosed and remedied within the scope of the works. Always professional, courteous, knowledgeable and helpful!